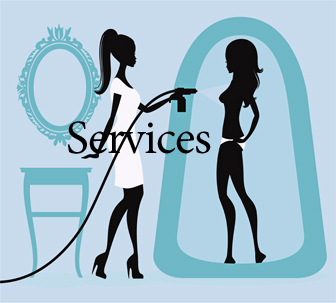 Pittsburgh Spray Tanning 101 - How do I prep before my spray tan? 1. In the shower, shave legs, underarms, etc. and exfoliate the skin afterwards with a pH-balanced, pre-tan scrub. Avoid bar soaps and moisturizing spa-type scrubs as some may leave residue which interferes with the development of tanning solutions. It is important that you use an exfoliant intended for use before application of a DHA product. 2. If you condition your hair, do so before you scrub. Do not apply deodorant, lotions, or perfumed products after your shower. 3. Clients should wear an old, dark swimsuit, or undergarments, during their session. Some clients purchase an inexpensive swimsuit dedicated to their tanning sessions. Wear dark, loose clothing, and sandals to your session. Tight or restrictive clothing will damage your developing tan. A jogging suit or long cotton sun-dress, and flip-flops are ideal. 4. Wear lip balm or lipstick to your appointment. 5. NOTE: Male clients over the age of 18 must wear shorts and/or underwear. 6. Be assured that we are professionals and will make every effort to accommodate your needs and make you as comfortable as possible whatever you choose to wear. 7. While we have pre-tan products for use immediately before your session that can help the tanning solution adhere and develop properly, there is no substitute for your personal preparation. The DHA solution will continue to develop over the next 24 hours and usually lasts up to 7-10 days depending on hydration and exfoliation, and individual body chemistry.